Russian Video: Marussia Motors Presents! Today we are watching a unique video about Marussia – Russian sport car. The president of Marussia Motors demonstrates how Russia’s first sports car is assembled. 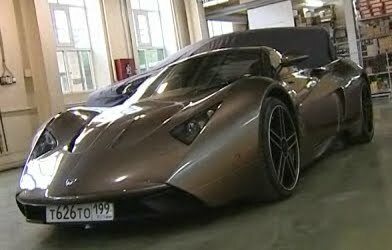 The first Marussia Motors show room is Moscow, at 17 Tverskaya Street. The В1 and В2 Grand Turismo cars will cost around 100,000 euros. This entry was posted in Science and Technologies on September 9, 2010 by admin.